Ex-MK Ben Ari, Baruch Marzel, slam religious Zionist party over alleged softness on Hevron, Ramla. The religious Zionist Bayit Yehudi party came under attack from former MK Michael Ben Ari and iconic nationalist activist Baruch Marzel Wednesday for allegedly going soft as soon it entered the halls of power. Ben Ari was fiercely critical of a deal that Housing and Construction Minister Uri Ariel has reportedly reached with the Arab residents of Juarish in Ramla, which will allow them to legally purchase land they have been illegally occupying. "Land thieves are about to receive a prize," he protested. "Not only will they not be tried and fined for their criminal actions, the proposed arrangement lets them purchase what they stole for 12% of its real price. Woe to the ears that hear this. Criminal behavior has never paid off so well." 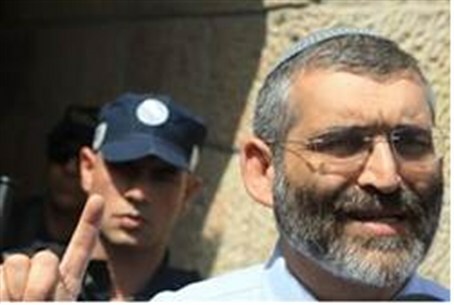 Marzel slammed a decision to keep Jews out of Hevron's Beit Ezra. "The fact that the government is populated by ministers like Uri Ariel in Housing and [Moshe] Yaalon in Defense only makes it harder to understand," he said, "why the government of Israel makes it possible to evict Jews from land that belongs to them by law, on the same day that about 300 homes in Juarish are legalized for Arabs who stole land from the state of Israel." Marzel called on his longtime friends from Bayit Yehudi to come to Beit Ezra and stay there in protest until Jews are allowed to live there again. He added that "if Orit Struk were not in the coalition, she would come here." "Bribes will blind the eyes of the wise," he said, quoting Scripture (Deuteronomy 16:19). "Our ministers, too, are silent in the face of this injustice." Minister Ariel's office said that the residents of Juarish are "citizens of Israel who were asked to move there in 1948, and the state of Israel has a responsibility to be good to its word. After decades of a situation that was unfair both to the families and to the state, we found a solution that will regulate the rights of the hundreds of families in Juarish."